We're All About MLP Merch and our mission is to post every merch related My Little Pony news. We started early 2014 and plan to keep on going :). We started this blog because we saw a decrease of blogs dedicated to MLP merch, mainly because of inactivity. We both are huge, dedicated fans of the show that try to share news with the fanbase and collectors. My name is Ilona Iske and 22 years old at the moment. I started collection MLP around 2010/2011 and since then my collection has grown a lot in the past years ranging from the first generation till the current G4 ones. I study Animation at the moment and I design T-shirts designs in my free time. You can find those on Teepublic and Redbubble. Besised MLP I also collect other things like Pokémon, Thunderbirds and many other things. I'm also interested in Monster High and other animation-related things. I'm Ossie, an IT student with a collection of MLP Blind Bags and Comics (oh and Fluttershy!). At All About MLP Merch I post the blind bags, random stuff, comics, Taobao stuff, Amazon listings and more. I also focus on improving the site's code and features, like our responsive design! yup they're demanded thx! from meh! i need more fluttershys i have one fluttershy toy .-. New wave 13 blind bags available in HK at toyrus! i went on the equestria girls website and it had a friendship games archer game that wouldn't load but now it is gone like it was up there on accident and they took it down.i think they were going to put it up later but accidently put it up early. OMG ON KMART.COM THEY HAVE ALL THE SPORTY STYLE DELUXE DOLLS AND ALL THE SCHOOL SPIRIT DOLLS!!!!!!!!!!!!!!!!!!!!!!!!!!!!!!!!!!!!!! !AND THEY ARE IN STOCK!!!!!!!!!!!! 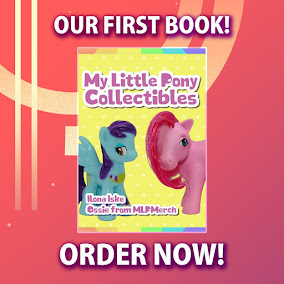 Hi All About MLP Merch. I have a Pinkie Pie blind bag figure with a light pink mane and dark pink tail. I was wondering if you could put it in the blind bags Prototypes and Errors. Sorry. Don't have a pic. Please reply. Thanks. -Wildflower the kitten. We only list blind bags that have been frabicated multiple times as errors, and not one-time mistakes. If you happen to find an eBay listing or someone else with the figure, please let's know. I saw the Twilight train & the action FlutterShy & Pinkie Pie figures @ Target. I found a Season 1 Princess Luna ornament at Spencer's, and special edition Aurora World Season 1 Luna and Princess Celestia at Hot Topic in Hawaii. I sent you guys some tweets with the photos. Found the Alternative Pinkie Pie and Sleep Slumber set on the K-mart site. Here is the link so you can add the pictures to the site. Thank you for your website. My soon to be 3 year old has already started collecting. The obscure ones are a challenge but fun. Keep up the great work both of you. Oh and a McDonald’s Starswirl that one of my cousins used to play with. Does anyone know any reason why Hasbro has not/did not released a Pony Mania Applejack, or Guardians Of Harmony Rarity or Cadance, or released an Aloe figure? Which looks exactly like Lotus Blossom with only her mane/tail and coat color switched. I'm collector from Poland. I collect My Little Pony of all generation accept G 3.5. but my favourite is G2. I have a blog about my collection (www.ponystock.blogspot.com) and facebook website (Silvestris My Little Pony Collection). I really want to help you. I have a lot of missing pictures that I can complete on your site. Y'ALL HAVE ANY IDEA WHERE EG MERCHANDISE IS SOLD?!?! I CAN ONLY FIND IT ONLINE!!!!! !